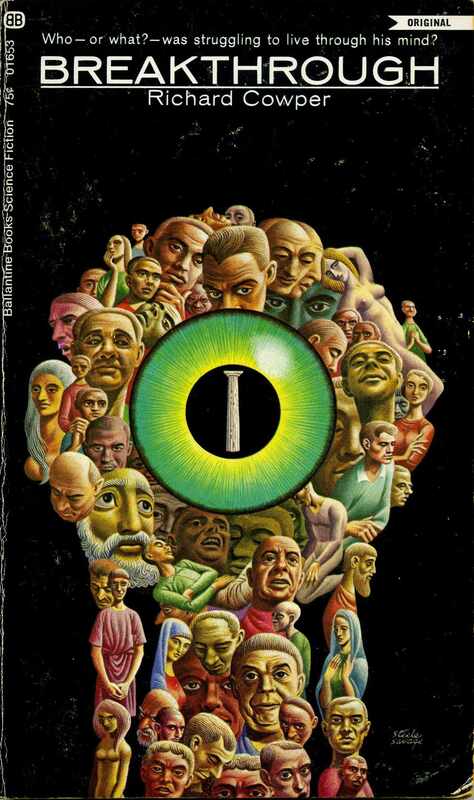 Quite typical for its time (1969) this sf story had precognition and shared dreams as its fantastical elements. The academic setting and interesting characters made this, his first novel, absolutely well worth reading. An sf novel written as a travel guide to the islands on a planet that is in many ways similar to earth. 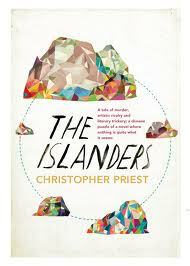 Some chapters are just descriptions of the island, whereas others contain stories which often are interrelated via the characters involved. The “novel” is strange in many ways, and although it was enjoyable, partly because of the language, it was not an easy read. Some sf elements, like temporal anomalies and people made immortal, are not developed, whereas we get to know quite a lot about the making of tunnels through islands as art installations. 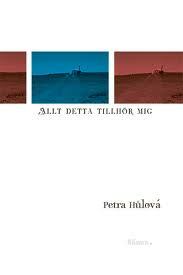 The book made me want to read more about the Dream Archipelago. 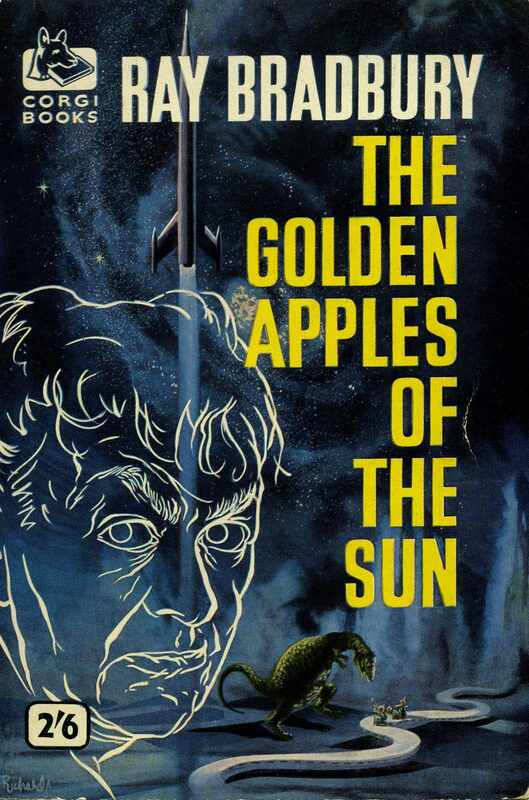 Ray Bradbury: The Golden Apples of the Sun. I was afraid that rereading these short stories that I first read in 1960 would be a disaster. In ”The Fog Horn” the feelings of a lonely beast from another era reflect the loneliness of the lighthouse watch. ”The Pedestrian” walks alone in a city where everyone watches tv and makes you consider how Bradbury himself contributed to tv series. ”The April Witch” enters the soul of a young girl in order to experience love, and the real sf story ”The Wilderness” tells us about the feelings of the wife who remains on earth when the husband goes to Mars. In ”The Fruit at the Bottom of the Bowl” a murderer is obsessed by removing fingerprints, and ”The Invisible Boy” is not that but symbolizes the loneliness of an old woman. ”The Flying Machine”, built in AD 400 in China, rises the envy of the emperor. ”The Murderer” murders his tv and radio, and his psychiatrist returns to his endless communications via wrist radio, intercom and telephone, the theme being similar to that in ”The Pedestrian”. The fable “The Golden Kite, the Silver Wind” tells an eternal story about hostility, and the story “I See You Never” about the expatriation of a Mexican immigrant could have been written today. In “Embroidery” some women are waiting for the total catastrophe reminding of the one that not occurred in the Large Hadron Collider, and the classic time travel story “A Sound of Thunder” shows the dangers of even the smallest change in the past. “The Great Wide World Over There” vividly demonstrates life in the countryside, and the humming in “Powerhouse” gives the protagonist a feeling of community with all who use the electricity. In “En la Noche” a woman who has lost her husband terrorises the village and is consoled by one of the husbands, and in “Sun and Shadow” a poor man gets his right over a photographer. “The Meadow” is a wonderful story where the protagonist defends an artificial city used for film making against demolition, whereas “The Garbage Collector” cannot accept his new job which is to collect bodies of people who have died from radiation. “Hail and Farewell” shows the problems of someone who does not get old, and the space ship in “The Golden Apples of the Sun” actually fetches parts of the sun. Thus, some of the stories are definitely sf, but all of them deals with human emotions and does it extremely well. 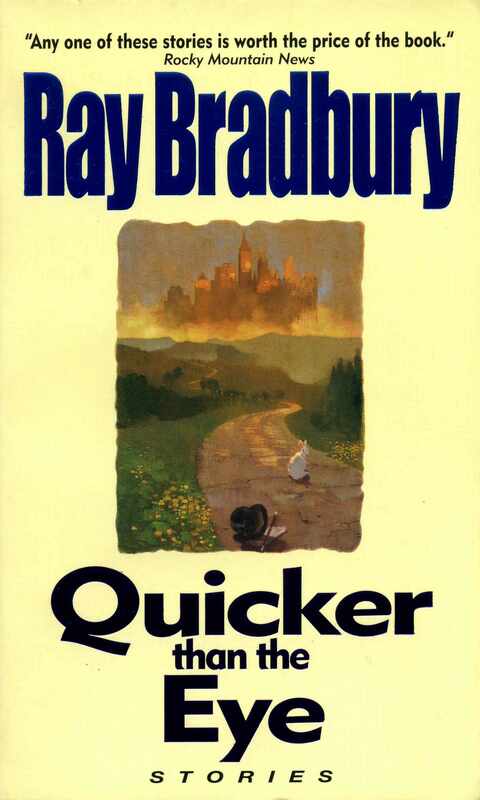 Ray Bradbury: Quicker than the Eye. 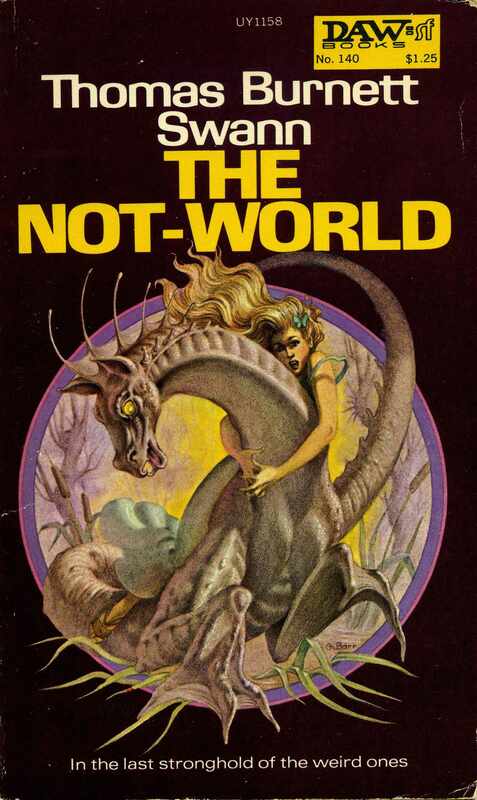 Thomas Burnett Swann: The Not-World. An entertaining short novel set in the woods outside Bristol in the late 18th century, where a female author, a poetess, a former sailor and Thomas Chatterton are involved in adventures and temptations among the little people. Great fun! Klaus Æ. Mogensen, ed. : Kosmos og katastrofer. The story by Alastair Reynolds, “Soiré” was an excellent new take on the old idea that the planet reached by the space ship has already been reached from earth. The other stories in this programme book for Fantasticon 2012 were written by Danes. 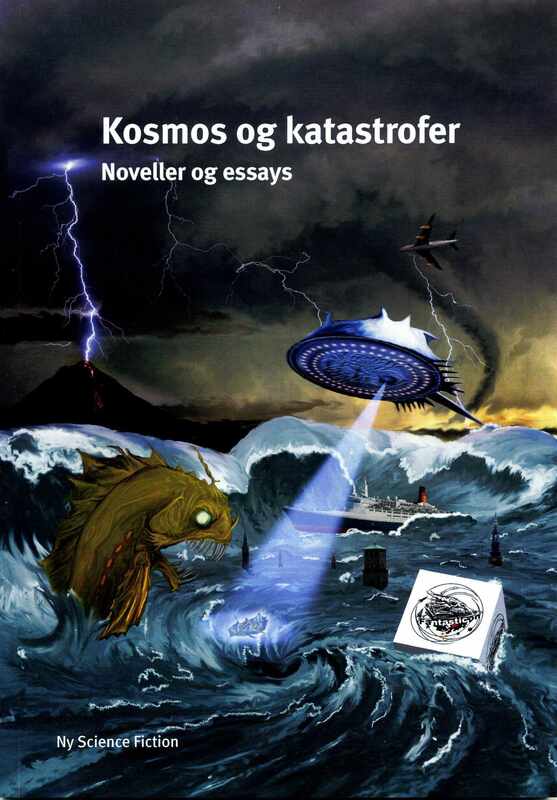 “Fremmedgjort” (“Estranged”) by Majbrit Høyrup was a thrilling sf story, and both Richard Ipsen’s “Rådyr” (“Deer”) and Jesper Rugård Jensen’s “Grønnedag med fru Olsen” (“Field day with Mrs Olsen”) were well written horror stories. There were also interesting and informing articles about the two Guests of Honor, Alastair Reynolds and Ellen Datlow, and about the theme of the con, apocalypses, and about Danish horror. Fascinating story by a young Czech told by five women from different generations, mainly about their relations but also about life in Mongolia, both as nomads and in the city Ulan Bator where two of them make a living as prostitutes.